We live in a busy society nowadays, so even if we have our phone nearby, we end up underutilizing it most of the time. The reason is simple, we can’t enter all the apps we are interested in all the time. This way we can end up losing all types of offers. Such a situation can bring in front some very bad results for your audience. This is why you have to find a great solution to help you in this regard and Push Notifications will certainly help. At their core, the Push Notifications are rather simple to understand. They are a technology that allows every mobile or even desktop app developer to send notifications within the operating system. Basically, even if the app is closed, a user will receive notifications about the game, app or any relevant event. The Push Notification system is very important and it will always bring in a very good value for sure. The quality offered by Push Notifications shows that you will get to spend less while also getting a really impressive set of results. Integrating Push Notifications is not expensive, but it can make a difference. You will get to bring your message in front of your users. This means they will take action and this will obviously bring more sales. You have to keep in mind the fact that sometimes the push notifications will not work to your advantage if you use them too often. Just share these notifications when you have something meaningful to say. 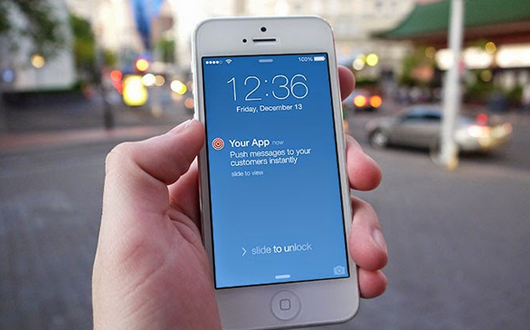 Lots of developers use Push Notifications and for a very good reason. If you want a mobile app to be successful, it has to interact with the user. Push Notifications are not obtrusive and they give your customers the type of features that you may need. It definitely works amazingly well and the value can be second to none all the time. Plus, Push Notifications tend to be cross-platform. This way you get to integrate them with any platform you want. We have a dedicated API that makes installing and using push notification features in your app a very simple thing. All you have to do is to focus on value and quality, as this will certainly help them a lot for sure. It’s all about finding the right type of information for your audience and sharing it. This will help you get a better user interaction and in the end it will certainly pay off immensely for sure. It’s a really good idea to opt for push notifications, so try to keep that in mind. If you want to add Push Notifications to your application, just consider contacting us right now. We are more than happy to assist you with this type of feature. You just have to get in touch and let us know what we can do to help. Our team will gladly assist all the time. Contact us, let us know the type of Push Notifications you need and their frequency, results can be worth it!